Ring in the New Year with a deluxe six-course New Year's Eve Gala dinner brimming with an opulent culinary feast to the senses. Fabulous entertainment is lined up with live music followed by dancing to music for all ages, till the early hours of 2018. 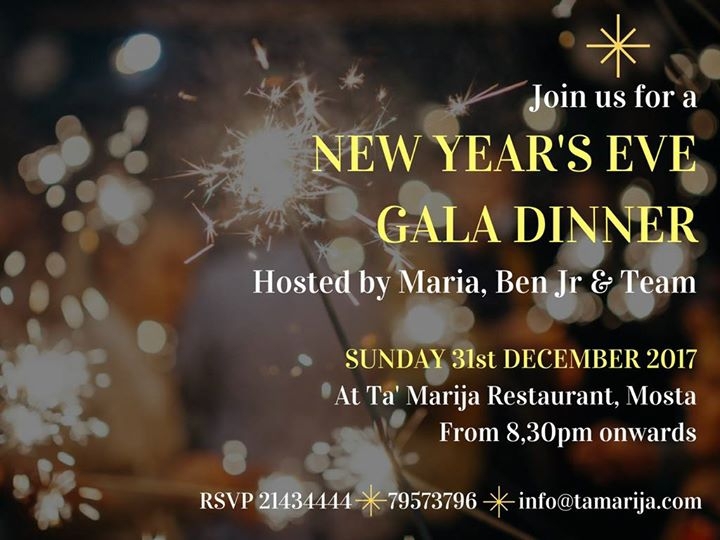 New Year’s Eve celebrations with friends & family is a monumental experience at Ta’ Marija Restaurant.